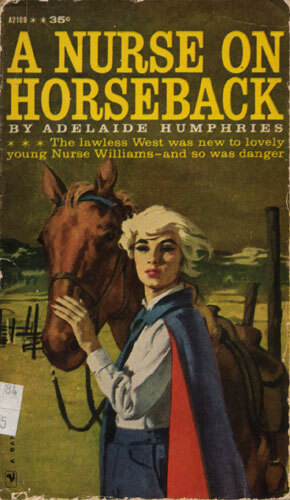 The lawless West was new to lovely young Nurse Williams — and so was danger. When Nora Williams completed her nurse’s training and went home to the lawless West, she was determined to stay in this remote country where a nurse was so desperately needed. But then one day, on a lonely mountain trail, as Nora was riding to a sick child, the silence was shattered by the bark of a gun. Suddenly Nora knew that the bullet had been meant for her! Who was trying to keep this dedicated young nurse from her appointed task of helping the poor and defenseless in this wild country?